Watch: EU Summit - Can EU leaders find a solution on the topic of migration before it's too late? The EU is having a crisis summit on the hot topic of migration but there are two countries with the most on the line. Talking to the German Bundestag, Chancellor Angela Merkel said that migration was in danger of becoming a “defining moment for the European Union”. But it’s not just European relations at stake - Merkel has been facing increasing pressure from within her own government to find a solution after interior minister Horst Seehofer publically criticised her policies on migration. Seehofer, who is the leader of the CDU’s Bavarian sister party, the CSU caused a rift in the government by suggesting that Bavaria may start sending back migrants who have previously registered in other EU nations. Italy’s new populist government has also catapulted the topic onto the agenda after they refused to allow a number of rescue boats carrying migrants dock in Italian ports. Even though the number of migrants flowing into Europe is decreasing, the topic remains controversial and European leaders have yet to reach a consensus on how to solve the crisis. Join Belle Donati as she talks to Euronews’ Bryan Carter who is in Brussels where the summit is taking place. 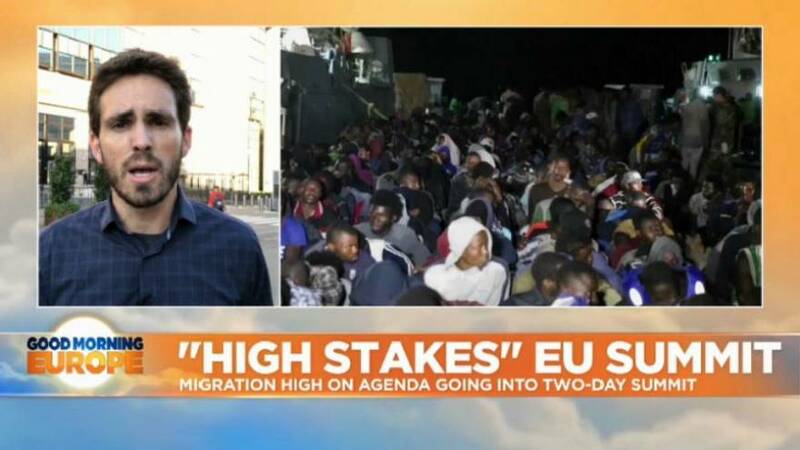 NBC’s Claudio Lavanga also joins us live from Rome and Euronews’ Jessica Saltz is in Berlin with the latest German reaction. And Alex Morgan from our social media newsdesk The Cube brings you all the latest analysis and social media reaction.